Our economy is in crisis. We'll survive, but still. October is finally here - Happy Birthday Walt Disney World! Pleasure Island closed last Saturday. Still getting used to that one. 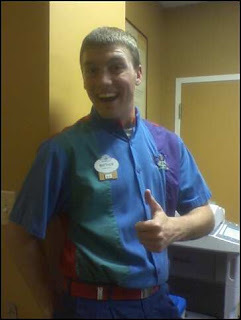 I had an AMAZING time working at Pleasure Island last Friday! I am practically broke, but I'll manage... somehow. Entertainment's been fun, but I need to get back to where I belong.